The Mixed Forest contains a mix of dark green firs and lush, green deciduous trees which can make for a great little forest. 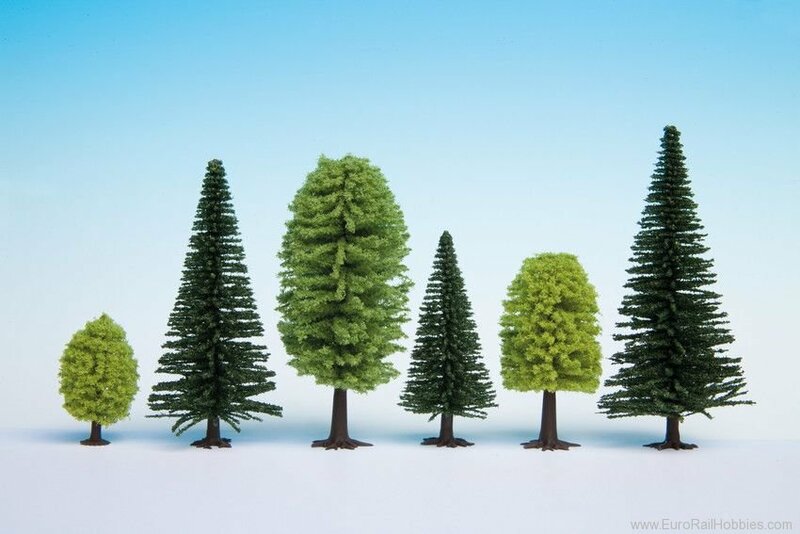 The NOCH budget trees are ideal for creating a forest on your model railway layout. The model trees with their realistic tree trunks are the perfect way to design dense forests and natural tree groupings. The trees are available in different heights. Depending on how many trees you need, they are available in pack sizes of 25 or 10 pieces. This 25-piece set contain 10 deciduous trees and 15 model firs.